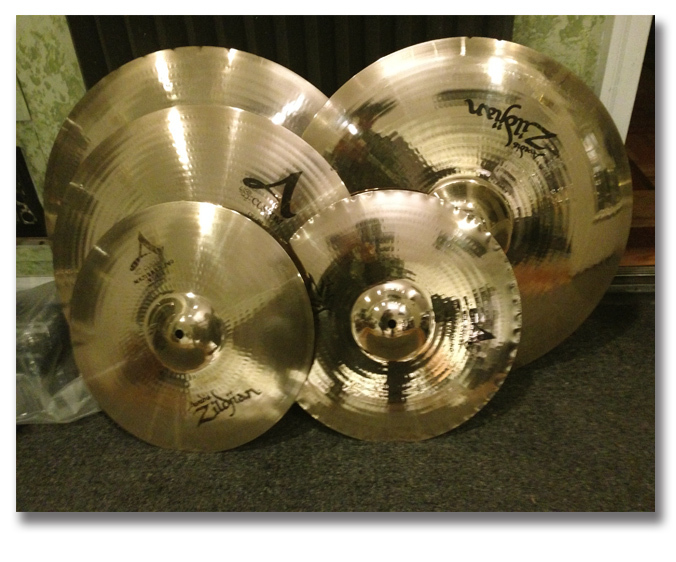 Above are cymbols that were brought back to their original state through Robbie Mac's Cymbol Cleaning. 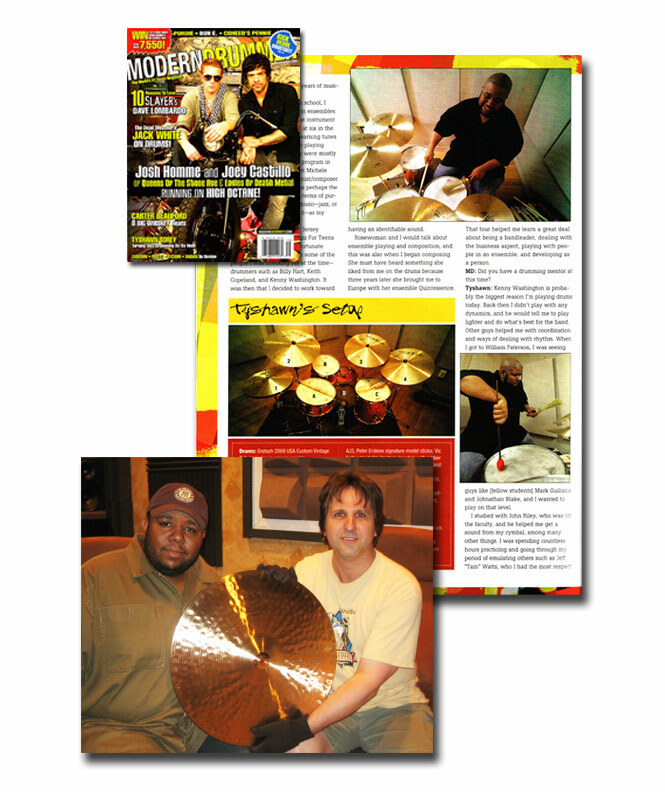 Modern Drummer Magazine and how Tyshawn proudly displayed the finished product. Tyshawn is a world renown jazz drummer. 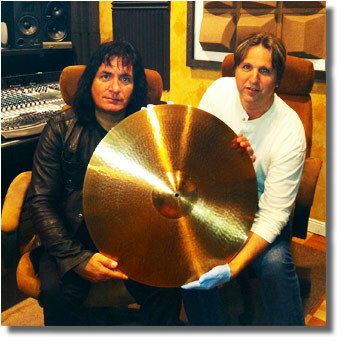 < Bobby Rondinelli and Robbie with one of 2 Custom 24" Crash Pastie Cymbals. "I am a doctor of chiropractic in practice for 30 years. I have presented over 10 master classes on drumming in a healthy state at the Drummer's Collective in NYC, written numerous articles for Modern Drummer and Drum magazine. I have played actively since I was 7 years old and still do as Roy Howard (myspace.com/royhoward). 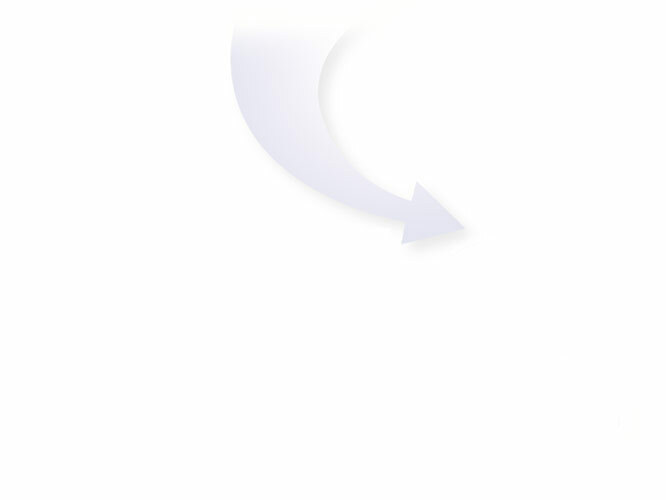 One of the healthiest things you can do to optimize your body physiology is smile. 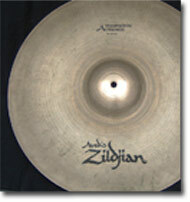 When you see your cymbals after Robbie cleans them, your smile generation will be effortless." 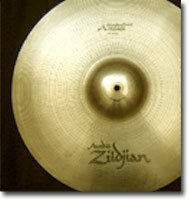 I highly recommend that you take advantage of Robbie's work so your cymbals shine and shimmer.